As those of you who have followed this feed for a while already know, amongst my many interests I have a weird fascination with early multi-tools. Somehow, they represent the uniquely Victorian-era combination of steampunk engineering and an energetic entrepreneurial spirit! 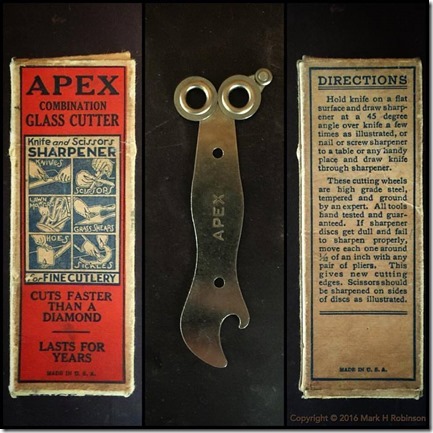 The Apex combination glass cutter is no exception to this. 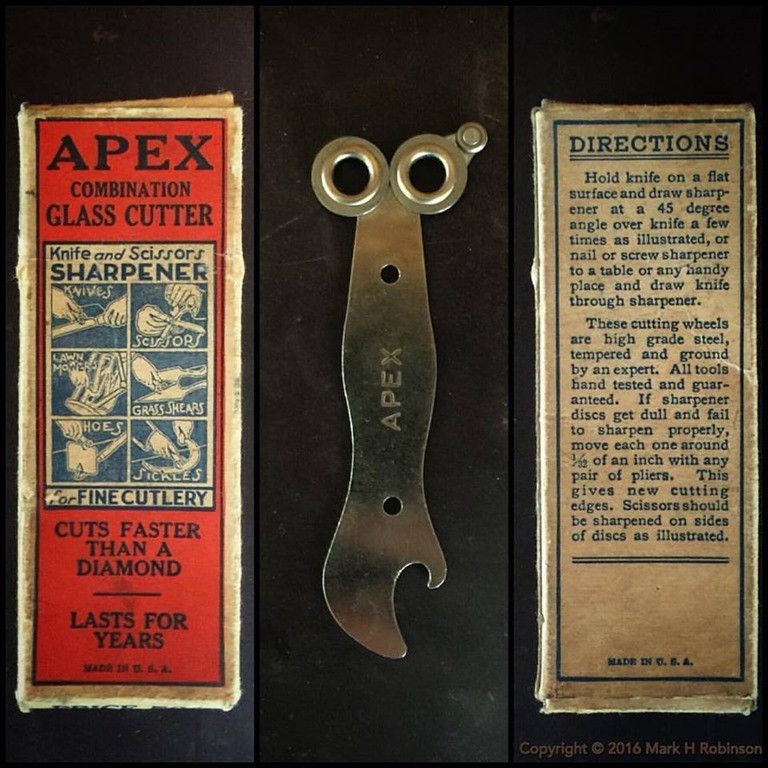 What motivated someone to take a glass cutter, and add a knife sharpener and a bottle opener? 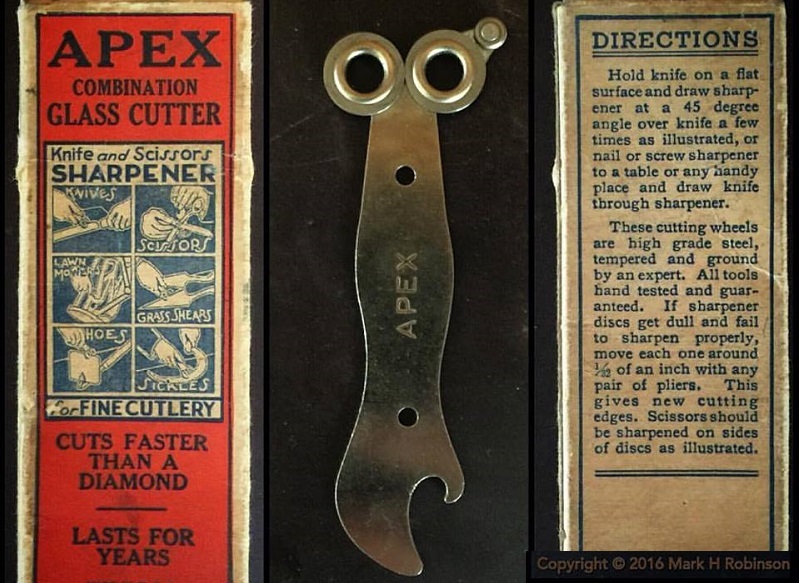 Or, did they start with the sharpener, and add the glass cutter? We will never know. The price on the ends of the box (not pictured) is 50¢. Given that this tool dates from 1894, that is an amazing $14 (approximately) today! But, as the packaging proclaims, it was made in the USA, in the days before offshore manufacturing, global markets and cheap transportation. It is also an indication of how inflation impacts prices over the long term. And, perhaps, that’s another reason why I’m fascinated with objects like these… They are miniature time capsules, transporting insights into the culture and economics of their era in the place they were made and sold, and anyone can learn a lot from looking at them and doing a little research and thinking, should they so desire.